When Grace first identified a blindsnake, his immediate thought was “are they really blind?” He then took his inquiry deeper to examine the snake’s nervous system organization. Because it’s one of the smallest vertebrate animals on Earth with fewer cells (not smaller cells), the blindsnake’s simple nervous system may give us important clues about the human brain. 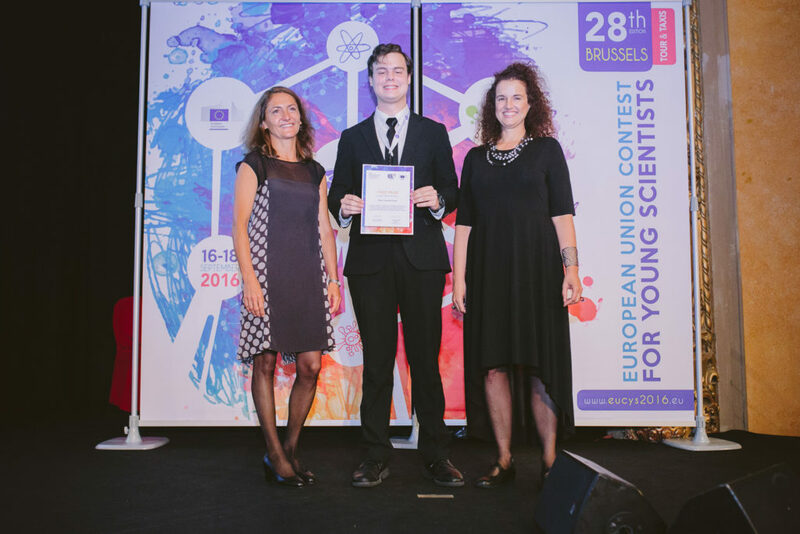 As his project progressed Grace aspired to work with a species that needed help, so he began studying the critically-endangered radiated tortoise from Madagascar. His research helped him discover their bizarre “rain dance” that “excited my passion all over again, leading me to further research,” said Grace. 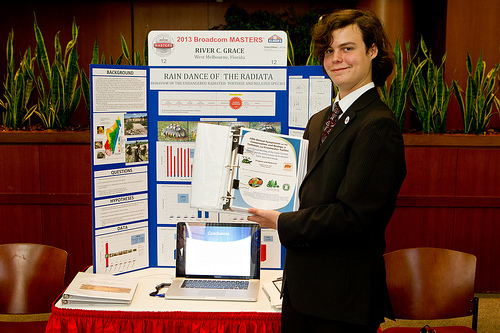 Grace’s project-based critical thinking skills nabbed him a spot as a finalist at the 2013 Broadcom MASTERS, a national science, technology, engineering, and math competition for middle school students. During an intense week of competition and team-driven comradery, Grace not only excelled in all four STEM fields, but scored off the charts in leadership and communication, garnering him the competition’s $25,000 Grand Prize sponsored by the Samueli Foundation. Since the Broadcom MASTERS, Grace has participated in immersive summer science internship programs, studied wildlife in the Galapagos islands and in the far western Amazon, and travelled both around the U.S. and internationally for science competitions. 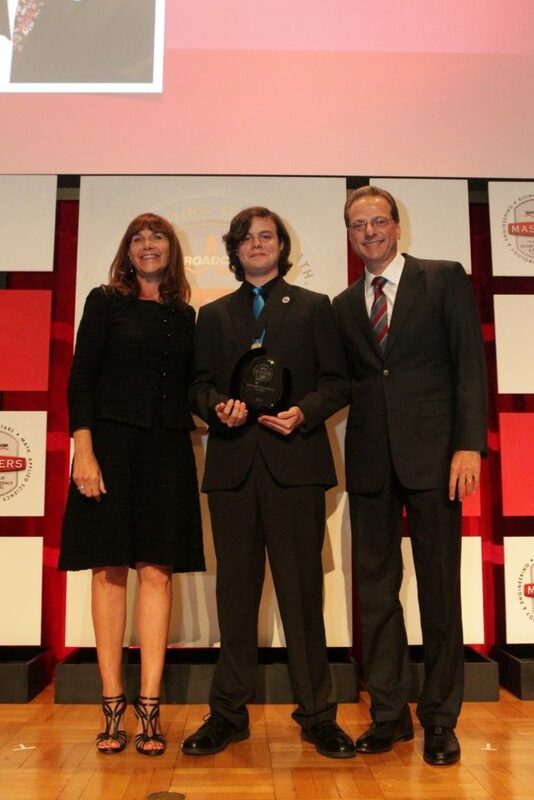 “Nothing is quite like the times I had at the Broadcom MASTERS,” he says. Back home, Grace is a busy young man. While continuing his research on how the brahminy blindsnake’s nervous system anatomy manifests its behaviors, he is writing college applications, captain of the academic quiz bowl team, is a pianist in a jazz ensemble and plays the keyboard in a rock/ blues garage band.